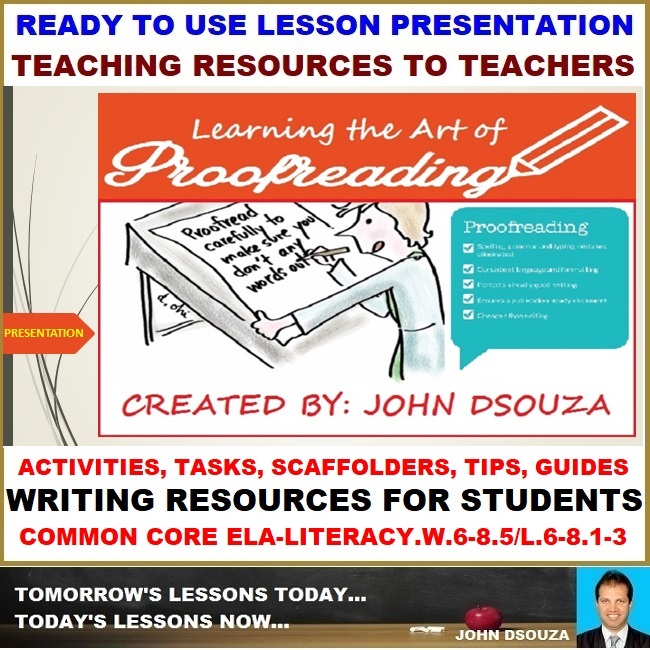 A Lesson Presentation that presents Teaching Resources in Proofreading. 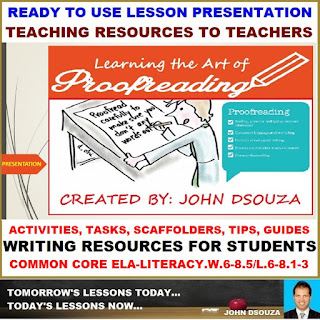 This presentation presents perfect teaching resources that will help the teachers to walk into the classroom with ready to teach confidence as it covers all that a teacher and a student need for a Proofreading Lesson. Teachers can use this presentation to give a complete knowledge and understanding of Proofreading to the learners, thereby helping them to enhance their writing and language skills.